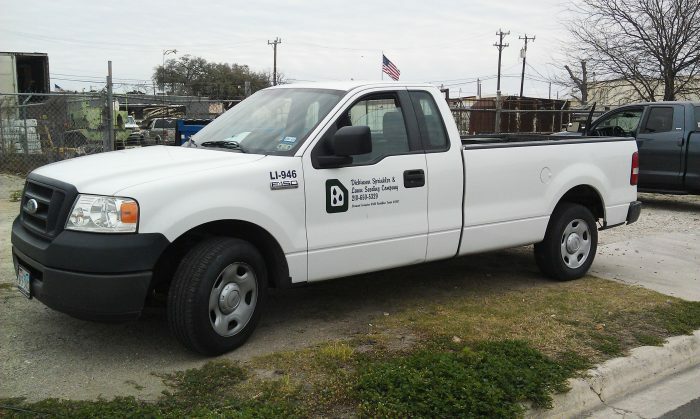 Since 1983, Dickinson Sprinkler & Lawn Seeding, Inc. has been a premier provider of lawn sprinkler repair and hydro mulching in San Antonio, Texas and the greater surrounding areas. We are proud to be a successful locally owned and operated small business. If you are looking for sprinkler repair in San Antonio, TX, that will be effective and reliable without breaking the bank, then you need look no further than Dickinson Sprinkler & Lawn Seeding, Inc. As a locally owned and operated business with over 33 years of experience, we strive to bring our customers quality service and reasonable prices. Our friendly and professional staff works hard to meet your individual needs, and always goes the extra mile to ensure you feel respected and recognized. We’ve had the opportunity to help thousands of valued clients over the years, and we look forward to continuing to serve our community for many more decades to come. At Dickinson Sprinkler & Lawn Seeding, Inc. we offer a wide range of services, including lawn sprinkler installation and repair, hydro-mulching, backflow prevention and much more. In fact, since we were established in 1983, we have proudly provided water protection services through backflow prevention. When you first get in touch with our San Antonio, TX sprinkler company, you will be greeted by a helpful and kind staff member, and that strong customer service will carry you through the entire experience. Here are just a few reasons why you should be doing business with Dickinson Sprinkler & Lawn Seeding, Inc.
We are a locally owned and operated small business in San Antonio, TX. We have been serving our greater community since 1983. Our business is a proud member of the ABPA and the SAIA. We are fully licensed for irrigation, backflow prevention and floral nursery work. Our rates are among the best in the area! Please get in touch with Dickinson Sprinkler & Lawn Seeding, Inc. today for more information on our helpful services!